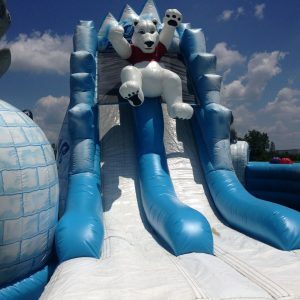 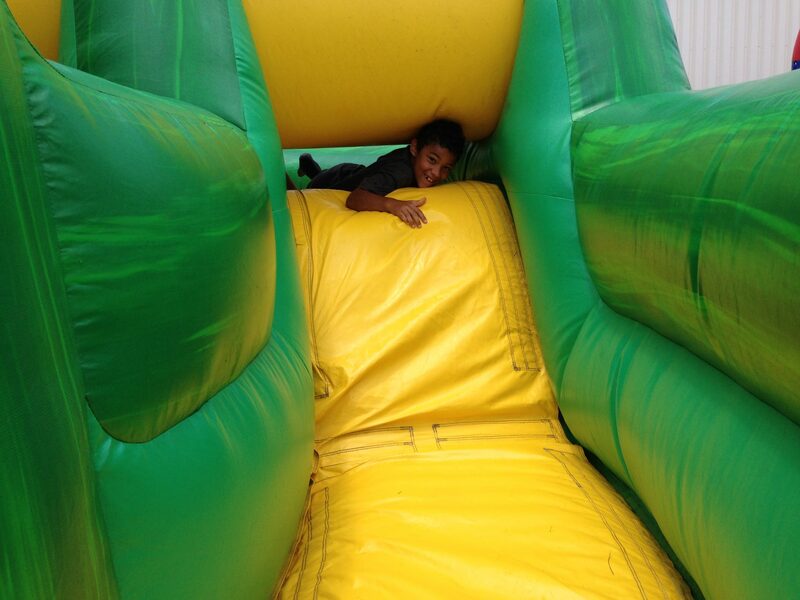 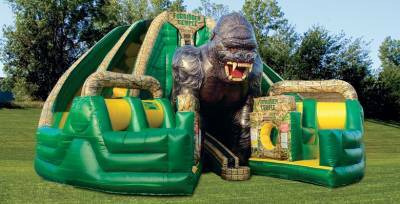 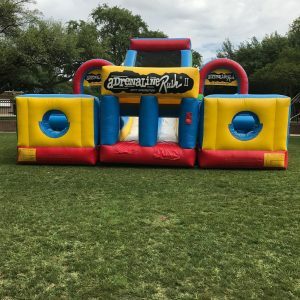 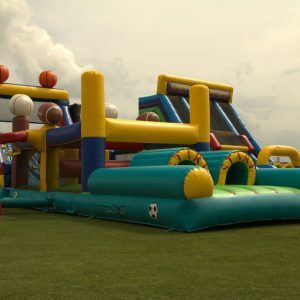 Check out this impressive 20ft tall inflatable jungle-themed obstacle course adventure. 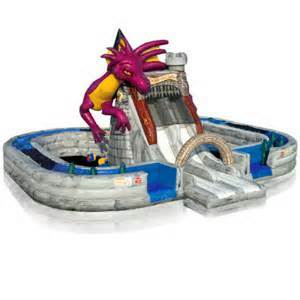 2 players race each other through a series of obstacles, climbing walls and a thrilling slide down. 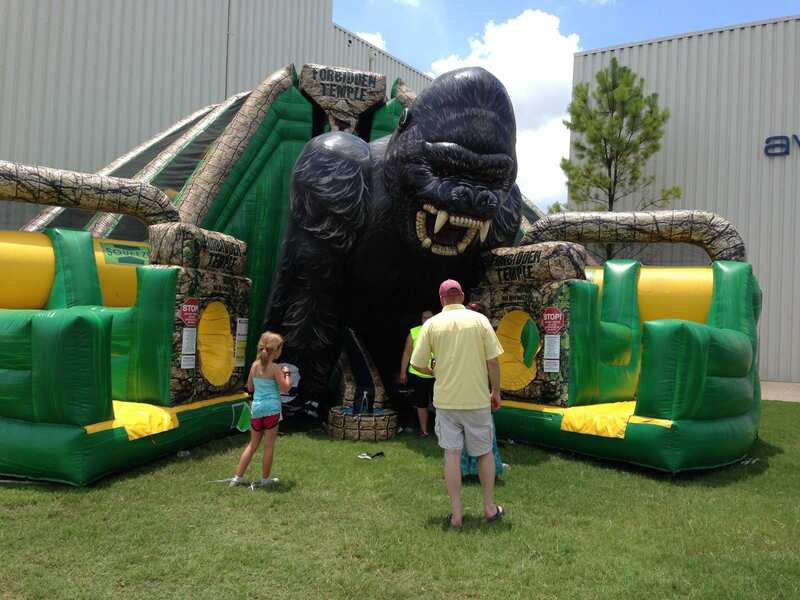 In order to be crowned king of the jungle the first player to insert a ball down the tunnel wins.